Lisa Meatchem is a lifelong resident of Cincinnati, OH. She is raising her two daughters with her husband of 19 years in this same city. Lisa graduated from Xavier University with a Bachelors of Liberal Arts in Organizational Leadership by way of Xavier’s accelerated weekend degree program. She has spent the last 16 years of her professional career working in the Insurance Industry helping families recover from the unexpected. She has served on parent advisory boards as well as other social service organizations servicing the homeless and underprivileged children within the Greater Cincinnati. As a parent of a child with Sickle Cell Disease, she is dedicated to helping improve services and treatment for all patients and families suffering with this disease. It will be thorough Sickle Cell Alliance Foundation (SCAF) that she will continue to advocate for, fund raise and support these patients and families. In her spare time she spends time with family and friends traveling and enjoying life. Sonya L. Moore, a native of Cincinnati, Ohio, loves her family. She is a wife and mother of two teenagers, a son and daughter, respectively. Sonya has a Bachelor’s Degree in Business Administration with a minor in marketing from Mt. Vernon Nazarene College, as well as an Associate’s Degree in Applied Science from the University of Cincinnati. She is the Founder of ‘Nati Naturalistas, a natural hair society established to educate, uplift and promote individuals on their natural hair journey. Sonya has more than 20+ years in corporate America, with experience in marketing, learning & development and also has experience within the nonprofit sector. 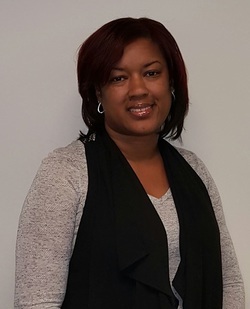 Sonya has a passion for learning, leading, and empowering women; advocating and educating about sickle cell disease, as her daughter lives with this chronic illness; and mentoring youth and young professionals. In her spare time, Sonya enjoys spending time with her family and reading. Latasha is a Registered Medical Assistant. She has lived in Cincinnati all her life. She has two adult sons whom she loves dearly. She is also raising her niece and nephew who are the children of her sister who passed away due to complications with Sickle Cell Disease. She is very passionate about making a difference in the Sickle Cell community. She volunteers with other non-profit organizations with a strong focus on youth. She challenges herself to live and be the example our youth need. She has strong ties to the community that will help her create programs that our patients and families need.